The box file extension is associated with the CARA (Computer Aided Room Acoustics) software for Microsoft Windows operating system that allows users to computing and optimizing room acoustics. The *.box file stores custom loudspeaker design. CARA (Computer Aided Room Acoustics) is software for computing and optimizing Room Acoustics of arbitrary rooms. Use CARA to open *.box files. Programs supporting the exension box on the main platforms Windows, Mac, Linux or mobile. 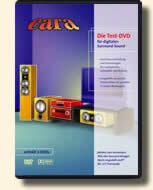 Click on the link to get more information about CARA-Computer Aided Room Acoustics for open box file action. Programs supporting the exension box on the main platforms Windows, Mac, Linux or mobile. Click on the link to get more information about CARA-Computer Aided Room Acoustics for create box file action.